The 1958 Chevrolet Impala is often credited as the first official muscle car. Packing a standard 235.5-ci I6 engine rated at 145 horsepower was one thing; having a 348-ci V8 rated at 315 horsepower as an optional engine was groundbreaking. 60,000 of these offspring of the Bel Air were produced, with about 17,000 convertibles. In 1958, the Impala was still considered a Bel Air. In 1959, it would ride its success to becoming its own model of car.At last Ford took over and ran chevy out of Detroit. What's your take on the 1958 Chevrolet Impala? Philip The first and as it often happens, it is the best Impala. The 1963 were grand too, but the first issue takes it all. Same with the first T-Bird. Ça vas s'en dire!! 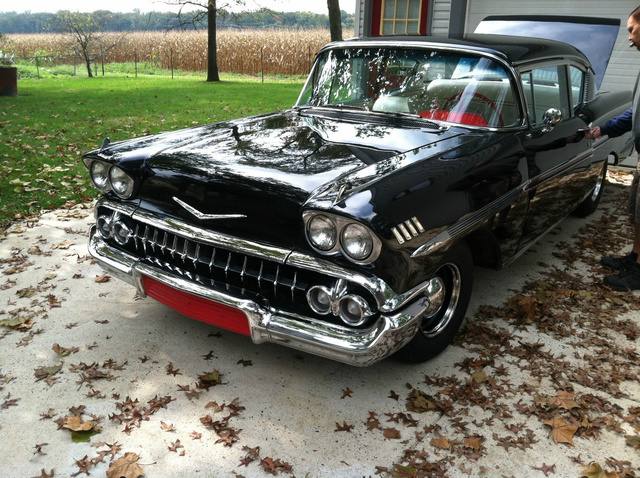 Have you driven a 1958 Chevrolet Impala? Do You Know An Expert On 1958 Impalas? Trying to buy a 58 impala and want to know where I can trace VIN #. Every source either wants money, or they want a 17 digit vin# These classics don't have 17 digit vin #s. Help me! I own a 58 impala with the 235 six, how many of these were manufactured. I need information on colors in trunk, materials, original engine compartment look etc.